You are here: Home > Dan's Garage Door Blog > High Lift – How High Can I Go? High Lift – How High Can I Go? 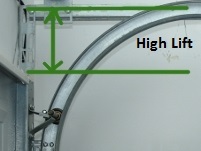 High lift is defined as the dimension from the top of the garage door to the center line of the horizontal tracks. Most residential doors with 12″ radius tracks have 4 3/4″ of high lift, and doors with 15″ radius tracks have 7 1/2″ of high lift. 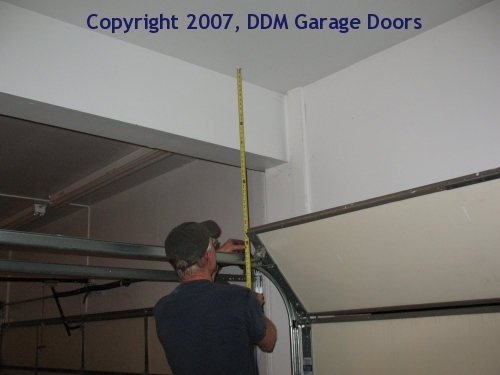 Our Garage Door High Lift Inquiry carefully calculates for maximum lift without risking customers having to spend the better part of a day reinstalling their high lift system. Customers still often ask if their door can be raised even higher. My short answer is that usually the tracks can extend another inch or two without any problem, but we can’t guarantee the results. Our program designs each high lift assembly with the shaft located four inches from the ceiling. 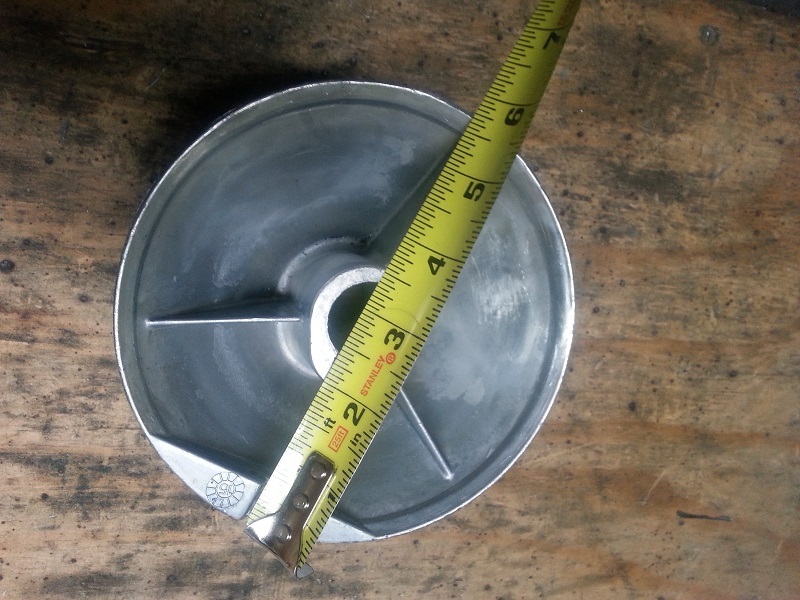 The outer diameter of our standard high lift cable drum is almost 5 3/4 inches. The radius is about 2 7/8,” which leaves about 1 1/8″ clearance between the drums and the ceiling. On some doors the top of the door rises higher than the drums and the extra inch is needed. Sometimes it is not, if the top of the door is lower than the tops of the drums. If you don’t have a level you can measure the distance from the ceiling to the tops of both cable drums. Bear in mind that the larger diameter high lift drums require about 3/4″ of additional ceiling room. 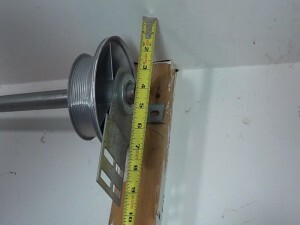 Measure also to the top of your door when it is at its highest point of travel. The bottom line is that whatever distance you raise the the tracks and torsion system, the drums and the top of the door as it travels through the tracks must fit under the ceiling. 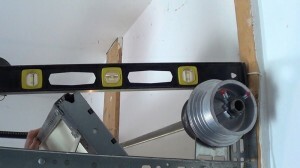 There are two options for possibly adding another inch or two of high lift. 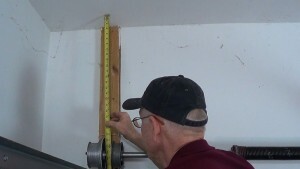 One is to lower the end bearing plates on the horizontal track angles. You can do this if the drums are higher than the top of the door at its highest point. One thing you have to watch for is that lowering the drums could cause the top of the door to hit the drums as the door rises. 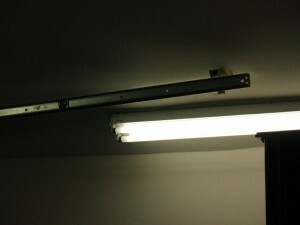 A second solution for lifting the door higher is to raise the rear ends of the horizontal tracks so the top of the door actually meets the ceiling when fully open. A car backed onto a lift and raised to a tight clearance may be able to fit just under the raised door. Note: Pitching up the ends of the horizontal tracks may require shortening the horizontal track angles. This entry was filed under Customer Input, Technical Support. You can follow any responses to this entry through the RSS 2.0 feed.